Author Bernie Trilling asked, “What would it take for more students to benefit from deeper learning?” Trilling was referring to education that pushes beyond the basics, is engaging and challenging, and prepares young people for college and careers. Learn how to learn (e.g., self-directed learning). That means that students will be researching, writing, problem solving and presenting. That means teachers will be thinking more about work product more than test scores. These practices are common in some classrooms and some schools, but Trilling’s question is what combination of advocacy, organizing, capacity building, and investment will result in deeper learning broadly, especially for low income students. 1. Writing the Core. Common Core State Standards are a big step forward toward deeper learning particularly the emphasis on text complexity and using evidence in writing. As UVA’sDaniel Willingham says, “Explicit teaching of writing makes kids better writers” and I think we’ll see more explicit instruction and more writing with Common Core State Standards. 2. Do science. Beyond the Common Core, states should set graduation requirements that reflect college and career ready standards, including four years of science/engineering. Rather than a multiple choice test in science, I’d love to see states require every secondary student to participate in a science fair every year or two. New tools are making it easier to build standards-based projects that incorporate researching, problem solving, writing, and presenting. 3. Good tests. Some advocates want to “get rid of standardized testing.” I don’t know how things get better for low income kids without measurement. The good news is that the tests that the state consortia–PARCC and SBAC–are building will be a big advance. Helping them launch the best tests possible in 2014-15 and then innovate up from there is a series of high leverage opportunities that will influence classroom assessment for a decade. That’s why Hewlett is funding the Automated Student Assessment Prize (ASAP, see the exciting story of the college kid from Ecuador that won Phase 2). 4. Coherent state policy. State policy can promote deeper learning. Digital Learning Now(DLN) includes a 10-point plan to expand quality options for all students. In particular, DLN recommends policies that promote competency-based learning where students progress as they show what they know. DLN also recommends funding that is weighted, portable, and performance-based–and that means more quality options for low-income students. Maybe a bonus, badging or leaderboard strategy for schools would help promote deeper learning. 5. Intellectual mission. Good schools sustain a common focus around an intellectual mission. That means a few clear academic priorities including productive habits of mind. Sustaining a common focus is aided by perpetual, not political governance; options, not boundaries; small, not big schools. That’s why a high percentage of schools that promote deeper learning are part of charter management networks. States should do all they can to authorize and support deeper learning networks. 6. Extended reach. Opportunity Culture identifies 10 ways to extend the reach of great teachers. New adaptive technology can extend the reach of all teachers by targeting learning levels and building basic skills–that prepares students to engage in higher order learning experiences and gives teachers time to focus on deeper learning. Comprehensive learner profiles (see the white paper we released last week) will help teachers (and other providers) to personalize learning. Profiles will power a rich dashboard of progress indicators not just basic skills. 7. Deep not shallow blends. With the shift to digital learning, it’s clear that some blended learning models promote thin learning–basic facts checked by multiple choice tests–and some promote deeper learning by encouraging students to take responsibility for their own learning, to make work and community connections, to produce quality work product, and to demonstrate their learning to a broader community. 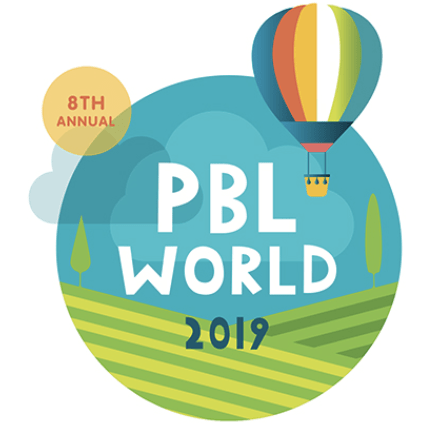 Supporting new blended school models that combine personalized learning and project-based learning (PBL) is a great way to promote deeper learning. Many of the applicants to Next Gen Learning Challenges are deeper learning models. Some school networks from the alternative tradition get the authentic; student centered side of the equation but could use help getting more systematic about math. Accelerated progress for over-aged, under-credited kids is great but schools really need to avoid brain-dead credit recovery. The more risk factors a young person brings to school, the more we should engage, connect, and support. 8. Deeper learning platforms. The most scalable way to promote deeper learning may be to support the development of next gen platforms that make it much easier to develop customized skill building playlists and standards-based projects. I’ve described 10 elements of the learning platform ecosystems that will make it easier for teachers to target and extend learning. New Tech’s Echo, a PBL LMS, is heading in the right direction. With the soon-to-be-released Buck Institute PBL app, social learning platform Edmodo will be even better at supporting deeper learning. The appendix of the white paper we just released has full of promising platforms. By leveraging open resources, it will soon be possible to deliver deeper learning experiences and supports for what we used to pay for old-fashioned textbooks, test, and professional development (PD). 9. Leadership development. Personalized learning is not just for students; new tools enable a new approach to leadership development. Hybrid courses like Udemy, individual learning plans like Bloomboard, and a professional learning network on Edmodo would be a good start. It would be easy to customize track for advocacy leaders, school leaders, and system heads. Add knowledge maps (based on job requirements), show-what-you-know opportunities, and an achievement recognition system (e.g. badges) and you’ll have a certificate program better and cheaper than any current master’s program. 10. Convening. It is also getting easier to stay connected online. Last week I participated in an online Cisco convening of about 20 districts. It was by far the best video conferencing experience I’ve had. It’s good to get together once in a while; there’s just a lot more serendipity that way. I foundHewlett’s Deeper Learning convening last week to be thought provoking. Related to the last two items or perhaps #11, a deeper learning hymnal (or playbook if you prefer) covering school design, data dashboards, state and district policy, and talent development strategies would help. Victory. Deeper learning isn’t a separate agenda from Common Core implementation or the shift to digital learning; it’s the outcome of these things done well. We won’t be able to declare victory for deeper learning five years from now; there will be no grand slam in the 9th. While the scoreboard is hard to invent, it’s easy to spot when you visit a school. You can usually sense in the first minute if a place is about curiosity or compulsory activity, real challenges or contrivances. As data collection becomes easier, we’ll be able to build deeper learning dashboards that give some indication of the quality of the experiences that most American students engage in. New standards, new tools and new school models make it easier to engage all students engage in deeper learning–and it’s never been more important. Udemy , Bloomboard , Edmodo are Learn Capital companies where Tom Vander Ark is a partner. ASAP is a project of Open Education Solutions where Tom Vander Ark is CEO. DLN is a Getting Smart® Advocacy Partner. This blog first appeared on EdWeek.